Dr. Dennis Abbott is the founder and CEO of Dental Oncology Professionals (DOP), an oral medicine practice based in Dallas, Texas dedicated to care for the unique dental and oral health needs of individuals battling cancer. Dr. Abbott holds a Bachelor of Arts in biology from Rice University in Houston, and is an honor graduate of Baylor College of Dentistry in Dallas. After dental school, Dr. Abbott studied immunology, microbiology, and oral medicine at the School of Dental Medicine, State University of New York at Buffalo. In addition to private practice, he is a member of the dental oncology medical staff at Baylor Sammons Cancer Center and Baylor University Medical Center in Dallas. Dr. Abbott also serves as a consultant to the national American Cancer Society in the development of oral monitoring guidelines for post-treatment cancer survivors. He is the previous recipient of the Dentist Scientist Award and the National Research Service Award, both granted by the National Institutes of Health. Dr. Abbott is a guest author for many national dental publications on the subject of dental oncology and is a sought-after lecturer by various organizations and international companies on the topics of dental oncology, oral cancer, the role of oral health in systemic wellness, and antioxidants and oxidative stress in the oral health care of patients with cancer. 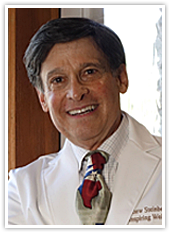 Dr. Abbott is also the founder of the American Academy of Dental Oncology. 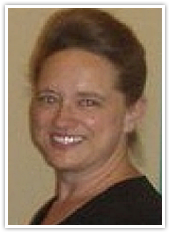 SANDRA BOODY, DA, RDH, MFT, M.Voc.Ed. Sandra Boody, a graduate of the University of Pittsburgh, served 25 years as the Director and Founder of the Dental Careers Program at Northern Area Special Purpose Schools. She has taught, developed, and published competency-based curricula for the Departments of Education of three states. 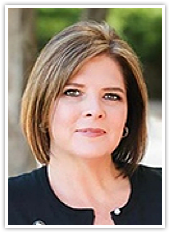 Ms. Boody has worked as a private practice clinical hygienist, technical writer, product representative, international sales team educator, and product specialist. Most recently, she has served as an oral care consultant training nursing staff and pharmacists in the importance of oral health in critical care settings, rehabilitation centers, nursing homes, and hospice care. Ms. Boody completed training in orofacial myology at the University of Southern California. She is a former President of the Western Pennsylvania Dental Hygiene Association and has served as an advisory member and speaker for the National Cancer Institute Specialized Programs of Research and Excellence. As an oral cancer survivor, Sandra is an active member of SPOHNC National Survivor Volunteer Network and a fierce patient advocate and educator for the importance of oral health along the cancer journey. Norberto Diaz is the Chief Operations Officer of Dental Oncology Professionals (DOP), an oral medicine practice based in Dallas, Texas dedicated to care for the unique dental and oral health care needs of individuals battling cancer. 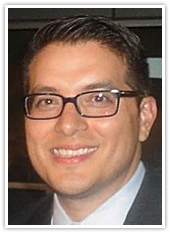 Mr. Diaz is an honor graduate of Southern Methodist University in Dallas and holds a Bachelor of Arts in Public Relations and Strategic Communication and a Bachelor of Arts in Spanish Literature from that institution. He utilizes his communication skills to establish and build relationships between DOP and oncologists, nurses, hospital administrators, professional organizations, publications, and patients. Mr. Diaz is an expert in social media and is responsible for the organic growth of DOP among not only social media platforms, but also brick-and-mortar outreach venues. His approach to cause-related-marketing has been key to the continued success the Dental Oncology Professionals office in Dallas and the establishment of the Dental Oncology Professionals Network. Mr. Diaz has lectured on the utilization of social media in the dental practice and the importance of marketing the dental practice to medical professionals. Dr. Joel Epstein graduated from dental school from the University of Saskatchewan in Saskatoon, Saskatchewan, Canada. He received a certificate in Oral Medicine and Masters of Science Degree in Dentistry from the University of Washington in Seattle, Washington in 1979. He is a Fellow of the College of Dental Surgeons of Canada in Oral Medicine/Oral Pathology and a Fellow of the Royal College of Surgeons of Edinburgh. He is a Diplomate American Board of Oral Medicine and was an examiner and President of the Board of Oral Medicine. He was Professor and Head of the Department of Oral Medicine and Diagnostic Sciences and is currently Professor in the Department of Oral Medicine and Diagnostic Sciences, and Director of the Interdisciplinary Program in Oral Cancer Biology, Prevention and Treatment at the Chicago Cancer Center, College of Medicine, Adjunct Professor in the Department of Otolaryngology, Head of Surgery of the University of Illinois at Chicago, and was on staff at Rush Medical Center and Advocate Illinois Masonic Hospital in Chicago. His current positions also include Consulting Staff at City of Hope National Medical Center, Duarte, California; Collaborative Member, Samuel Oschin Comprehensive Cancer Institute and staff at Cedars-Sinai Health Sciences Center in Los Angeles, California. In addition, he also has a private referral practice in Oral Medicine. 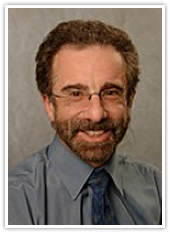 Dr. Epstein has published in the area of oncology, infectious disease, facial pain and general areas of Oral Medicine, with nearly seven hundred contributions to the literature in the form of papers, abstracts, text books, and book chapters. 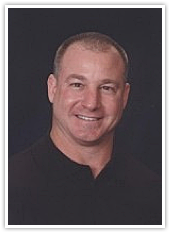 Dr. Jeff Hameroff practices periodontics in Tampa, FL. He received his undergraduate degree from the University of Florida and received his Doctor of Dental Surgery from Emory University in Atlanta. Upon graduation, Dr. Hameroff remained in Atlanta and completed his residency in periodontics at Emory. 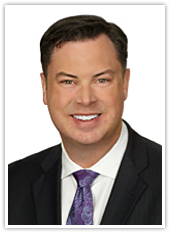 In his professional career, he has had extensive continuing education training in the field of implant dentistry and conscious sedation. He is a long-time member of The American Academy of Periodontology, The American Dental Association, International Congress of Oral Implantologists, Florida Dental Society of Anesthesiology, West Coast Dental Society, and The Hernando Dental Society. In addition to his private practice, Dr. Hameroff is the Chief Medical Officer and Co-Founder of MedActive Oral Pharmaceuticals, LLC, a pharmaceutical company dedicated to relief from oral issues commonly associated with cancer therapy such as xerostomia and oral mucositis. He is actively involved in studies with some of the leading researchers in this filed of interest in the United States and is working to benefit patients suffering from the acute and chronic effects of dry mouth. Dr. Hameroff is also an active member the American Association of Dental Research and the International Association of Dental Research. Bonnie Hixson is an entrepreneur, business executive, media proprietor and social philanthropist. Ms. Hixson is credited with creating one of the most successful industry media companies in the United States focused on dentistry. As the co-founder and publisher of The Progressive Dentist magazine and its online companion, Bonnie’s success is largely due to her focus on solid, business-driven topics that help strong clinicians and dental professionals build successful businesses. Over the past twenty years, she has worked closely with hundreds of dentists and teams to help them build strong businesses using proven systems to enhance the overall patient experience and improve practice profitability. As a result of her commitment to teaching the business of dentistry, Ms. Hixson parlayed her vision to deliver exceptional exclusive content written by today’s most respected experts in various areas of business disciplines. In addition to her renown success in media, Ms. Hixson supports many non-profit organizations that provide dental care for those in need. She is a member of the American Society of Magazine Editors, The Association of Magazine Media and the National Association of Professional Women and is a frequent speaker on business marketing and practice differentiation. Dr. Samuel LaMonte is a retired head and neck surgeon and retired United States Air Force flight surgeon. He has been a longstanding volunteer with the American Cancer Society (ACS) since 1976, and has served as President of the Florida Division and on the National ACS Board of Directors. He also serves on the Survivorship Steering Committee for the Centers for Disease Control and Prevention grant. He received the National ACS Volunteer of the Year Award in 2011 and has also been honored with the St. George Medal from ACS, an honor bestowed upon individuals who exemplify outstanding service to the community in support for the Society’s mission to combat cancer. He is a staunch advocate for the importance of oral health before, during, and after cancer treatment. As an oral cancer survivor himself, Dr. LaMonte maintains a keen interest in cancer education, survivorship issues, cancer screening, and patient advocacy. Dr. LaMonte also writes a medical patient education blog, The Medical New Report, that focuses on the importance of health and wellness by drawing upon cutting edge information from the most current, well-respected medical journals. 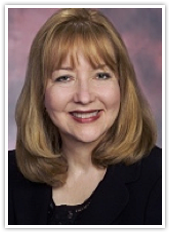 Linda Miles is a true pioneer in the field of practice management consulting. 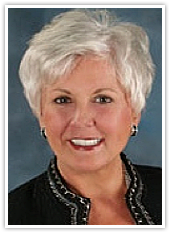 Her career spans over five decades in dentistry with 36 of those years as a professional speaker. Consulting has kept her speaking topics fresh and speaking has attracted the top clinicians as clients. In addition to being a member of the Academy of Dental Management Consultants, Linda is a 33-year member of the National Speakers Association, earning her CSP award in 1983. She also earned her Certified Management Consultant designation of the Institute of Management Consultants in 1993. She is the founder of the Speaking Consulting Network, an annual conference (since 1997) for those wishing to enhance their exposure and business skills as a speaker and consultant. Linda has presented in all 50 states and on four continents to thousands of dentists and team members. She has written three books and produced numerous DVDs, CDs, and videos. In March of 2005, Linda was bestowed the highest honor of her career when she received the Distinguished Service Award at the Hinman Dental Meeting in Atlanta. In 97 years of Hinman history, this award has been presented only 24 times. Other recipients include Dr. Peter Dawson, Dr. L.D. Pankey, and Dr. Gordon Christensen, to name a few. Ms. Miles is also the co-founder of Oral Cancer Cause, a non-profit organization that offers financial assistance to oral cancer patients during medical treatment to let them know they are not along in their cancer journey. Renita Sansom is the Executive Director of the American Academy of Dental Oncology and a registered dental hygienist and periodontal therapy specialist at Dental Oncology Professionals (DOP), an oral medicine practice based in Dallas, Texas dedicated to the care for the unique dental and oral health care needs of individuals battling cancer. Ms. Sansom has a passion for treating the medically compromised patient, especially those battling cancer. Her compassion emanates throughout the care and attention she gives to not only her patients, but also to their caregivers. She is an accomplished editor and proofreader and responsible for much of the medical correspondence between DOP and referring oncology centers. In addition to education her patients, Ms. Sansom has lectured to dental hygiene groups on the subjects of dental oncology and the importance of the inclusion of dental health in comprehensive care related to cancer therapy. Dr. Matt Steinberg enjoys a successful comprehensive care dental practice in Austin, Texas. He completed his undergraduate studies at The University of California at Los Angeles and his dental training at the University of St. Louis in Missouri. Following graduation from dental school, Dr. Steinberg completed a two-year General Rotating Residency Program in the United States Army at Fort Sam Houston in San Antonio, Texas. Since then, he has been very active in continuing his education on an ongoing basis. He has been awarded Distinguished Fellowships in the Academy of General Dentistry, the International College of Dentists and the American College of Dentists, a distinction that only 5% of dentists achieve. 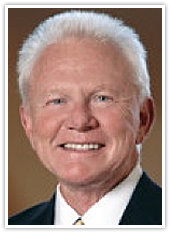 He has also been nominated four times by his peers for the honor of “Texas Dentist of the Year” awarded by the Texas Academy of General Dentistry (TAGD) in addition to serving as President of that organization in 1994-95. Dr. Steinberg has a passion for teaching excellence in dentistry and has been on the teaching faculty of internationally recognized Pankey Institute. Currently, he serves as the President of the Jack T. Clark Foundation, a non-profit organization of the TAGD focused on meeting the oral health needs of individuals with cancer. In his private practice, Dr. Steinberg is committed to overall wellness and helping patients realize the importance of oral health for a sound body and mind.